It's not on the beach but when you are looking for a clean and spacious room to recover for a few days it's perfect. Very friendly staff, good bathroom facilities . Wifi worked very good in the rooms downstairs. Rooms to face the back are quiet. Our stay at Sun n Moon was good. 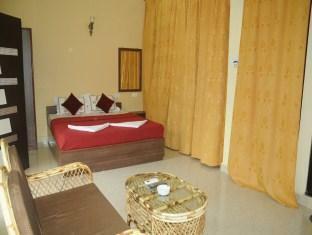 other than clean rooms and a good location at Palolem beach, there was not much we could from the rooms. The fun is the location where a lot of shops and restaurants are located at a walking distance. 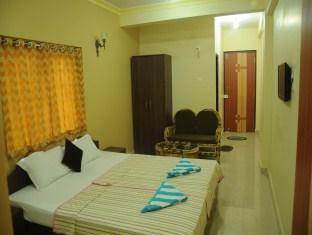 The hotel location is prime for its price affordability and cleanliness. The price, the service/standard of room & location. We were a group of 4 female students (from Scotland) and were at the guesthouse for 5 nights and had a great time. Lakshmi (I'm really sorry if that's wrong - I tried!) the receptionist was so nice and always very helpful/nice to chat to. The rooms were clean & spacious, and the air con/fan were fantastic! So nice to come off of the very hot beach to a nice cold room to cool down in! we have no complaints from our week in Sun N Moon, and would definitely return! 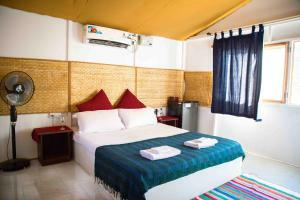 :) the beach is only a 200m walk from the guesthouse - fantastic room in a good location! We stayed at the room 107 for 9 nights and during that time everything was perfect! Room was so nice and clean, facing back yard, hot water was always in place as was electricity. The room was cleaned, the linen and towels were changed every 2-3 days. We were warmly welcomed by Raj - the hice host of this guesthouse. He (his staff also) was always helpful and always interested if everything was ok and we were happy to stay in his guesthouse. It was so nice! Raj organized airport transfer for us at very decent price. We always changed money at the travel office which also belonged to him - the rate was the most favourable of the suggested. Wi-fi always worked - thus it was always possible to use skype or whatsup - no problems at all! Location was also good - 5 minutes to the beach. To sum up i'd like to thank Raj and his staff for really great, comfortable and homey stay! 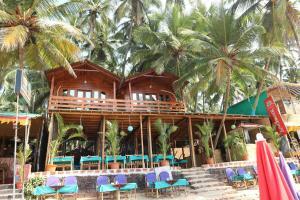 We will definitely return if find ourselves in South Goa! Great for the beginning of trip for couple of nights and at the end due to it being a proper room with hot water and good bathroom.Close to everything. Accommodating staff. Perfect at the beginning of travels to rest after very long journey. Hot shower etc. and before fly home again for the same reason. Staff very helpful and connected to Internet shop. Seems like nice family run business. Thoroughly enjoyed our stay at Sun N Moon. 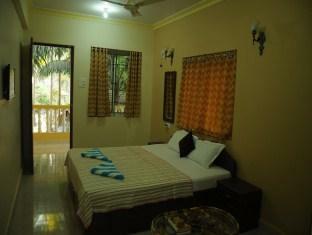 We had 5 nights in the large rooms with the balcony overlooking the main street of Palolem. Large room, extra clean, plenty of storage space, our room had a sink, kettle and refrigerator which was fantastic! Lots of lounges inside and on the balcony. Only suggestion would be some new white bed linen and towels and It would have been a 10 experience allround. Raja is a fantastic host, always making sure you are comfortable and happy. Will definitely stay here again if we make it back to Goa. The hotel is at the Main Street but the rooms are facing to the back, toward the beach. You can't see the beach, but our top floor room had nice big windows with palm trees right in front of it. They cleaned the room and changed our bed linen after two days and they were fresh when we arrived - very good! If you take the short cut to the beach, you are there in 3 minutes. 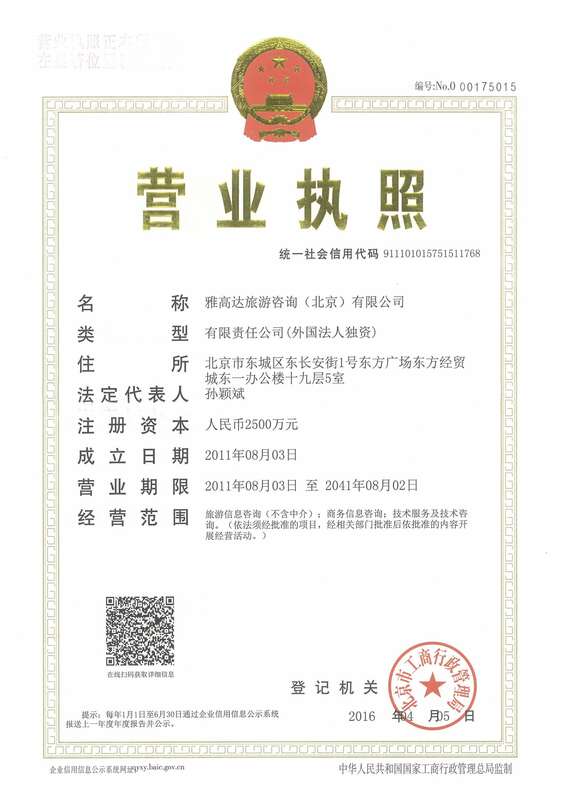 I can recommend this place as the rooms are very well maintained and clean. 북부에서의 여정 때문에 피곤에 지쳐있었는데, 친절한 여자 직원의 태도와 깨끗한 방 때문에 편안한 시간을 보냈습니다. Tres bon sejour, les chambres sont impeccables, tres propres, modernes, au top. Salle de bain tres bien egalement. Incomparable avec ce que l'on trouve habituellement dans cette gamme de prix. En revanche, le wifi est tres irregulier voire inexistant, et la position sans etre mauvaise n'est pas ideale. Le personnel est absent et pas vraiment accueillant. Demander une chambre sur l'arriere du batiment pour eviter la rue en contrebas. L'agence liee du meme nom n'est pas efficace du tout. Au total, je repete malgre ces points negatifs, un hotel de tres bon rapport qualite prix. accueil sympathique par le gérant, qui s'est toujours montré disponible pour nous informer et nous orienter durant notre séjour, avec des solutions et des propositions pour tout .Nous avions une chambre coté rue commerçante bruyante de 9h à 22h.A notre demande on nous a changé de chambre en milieu de séjour.Nous avons pu gracieusement garder notre chambre jusqu'à 13h au lieu de 11h le jour de notre départ.Nous reviendrions pour un prochain séjour à Palolem. Personal amable, piezas limpias y con un bonito balcón, la playa se puede llagar caminando. Muy buena estadía, disfrutamos de privacidad y el personal siempre disponible y diligente. Большой номер,балкон,чистота,приятный персонал,единственный минус нет входной двери в гэст,вместо неё стоит решётка и ночью все шумы с дороги как по тоннелю распространяется по коридору. Несмотря на то,что номер выходит на другую сторону от дороги шумного. В остальном все отлично. Отдыхали в марте 2016 года. Отель очень понравился, чистота, уборка каждый день, постельное белье меняют раз в два-три дня. 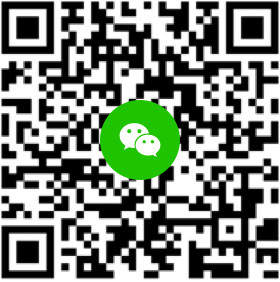 Хорошее месторасположение. Внимательный и дружелюбный персонал. Отличный гестхаус, мне понравился, по крайне мере если сравнивать с временными жилищами на берегу, чисто , уютно, все работает, фото соответствуют действительности, рекомендую для путешественников(не пляжных туристов) , ценящих комфорт, оптимальное соотношение цены и качества.